The Purescape 720 is a minimalistic, freestanding, bowl-shaped tub, which has been hand crafted in Italy by our vanguard European designers. The Purescape 720 is manufactured with Aquatica’s ground breaking AquateX™ material, providing its warm, velvety surface with unparalleled heat retention and durability. 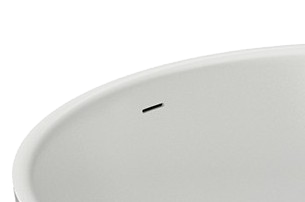 The modern and bold circular design of this model will lend a refined style to any bathroom interior, and is available in all-white, or in a black-outer and white-inner version. 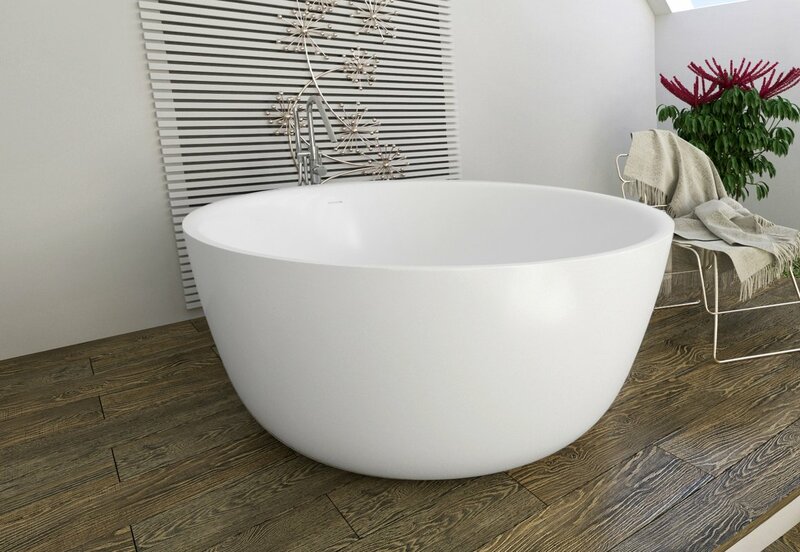 The stunning simplicity of form of this bowl-like bathtub is matched by its silky smooth, very comfortable interior. 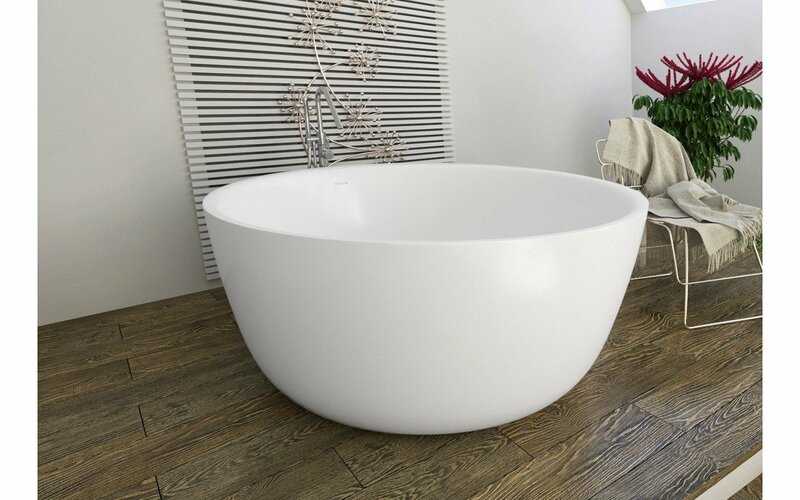 The circular style combines a roomy 36.25” (92 cm) diameter with an ample 19.5” (50 cm) internal height, allowing any the bather to happily sit and soak in its warm, watery depths. The seamless perfection of this circular bath is achieved by the gently sloping walls that support the back and the rounded rim head rest. Together these allow deep semi-reclined soaking or a comfortable seated bathe. The superior, velvet touch, matte finish is warm and smooth for further bathing pleasure. A perfect addition to your bathtub! These headrests have been hand-made in Italy, using a state-of-the-art polyurethane gel which has ‘shape memory’ and is extremely flexible. 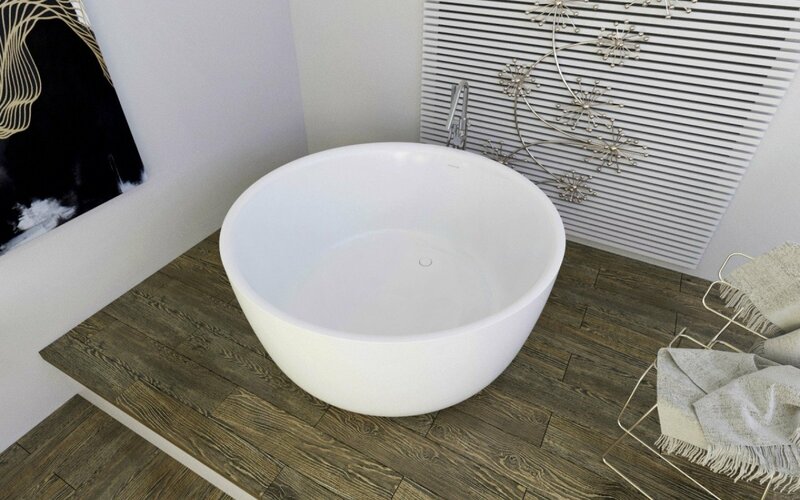 Compatible with any oval shaped bathtub, this over-the-edge design is not only resistant, durable and superbly elastic, but also non-toxic.